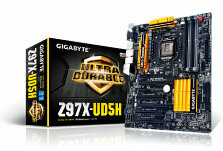 GIGABYTE has recently announced its latest overclocking contest hosted on HWBOT.org – the GIGABYTE CATZILLA OC Contest. The main focus will be centered on the latest GIGABYTE 9 series motherboards with two stages running the CATZILLA benchmark on air/water cooling and LN2 cooling. A $500 cash prize and a GIGABYTE motherboard will be offered to the winner of each stages. An additional raffle will take place on each Friday for the opportunity to win a GIGABYTE T-Shirt. Check out more details below on how to join the said contest and the respective prizes. 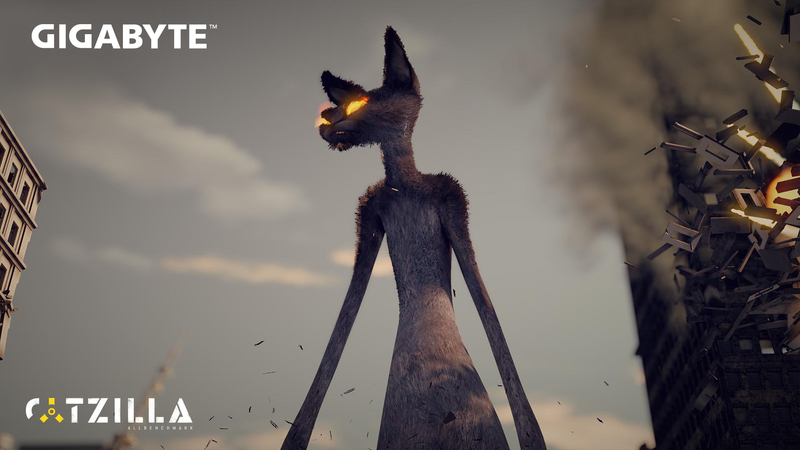 To celebrate its new custom made skin on the Catzilla 720P benchmark, GIGABYTE is inviting the overclocking community to participate in GIGABYTE CATZILLA OC Contest. Open to all HWBOT members from June 23rd 2014 until July 21st 2014, GIGABYTE invites all Overclockers to suit up for one epic cat fight and take on the following stages using any hardware platform on a 9 Series GIGABYTE motherboard. Note: Please register to unlock the 720P benchmark for free. All submissions must use a GIGABYTE 9 series motherboard. All screenshot submissions must include the competition wallpaper. All submissions must include a picture of the rig used, including competition background. Usual HWBOT submission and verification rules apply. For Air/Water cooling stage, a minimum CPU/GPU temperature of 30⁰C must be displayed. The GIGABYTE CATZILLA OC contest will run for one month, from June 23rd 2014 until July 21st 2014 midnight GMT/UTC (8AM 22/07 GMT+8). Make sure not to miss Catzilla’s summer sale. You have until July 1st to enjoy a 50% discount on their Catzilla Advanced benchmark.